Before we jump in, let's just get this out of the way: In no possible way should you really let your age influence your style. You should wear whatever you absolutely love, no matter the year you were born. Love that new pair of Zara booties? Go for it. Into Gucci's latest colorful handbag? By all means, swing it over your shoulder. However, there are certain trends that seem to be more popular among particular age groups. Furthermore, there are looks we believe women should invest in and adopt at certain life stages. When it comes to denim specifically, we recently went over the three styles every 20-year-old should own. Well, there are silhouettes we think 30-year-olds should try as well. Are you 30 and looking to build upon the denim collection of skinnies and straight-leg jeans you started in your 20s? Keep scrolling to check out the styles worth trying and shop each, too. And remember, if you're not 30 and love what you see, go for it as well. While you most likely have a few great pair of skinny jeans already in your closet by the time you hit 30, you want to ensure you have a pair in black in addition to the classic denim washes. A black pair of skinnies will not only work for your off-duty life, but it's ideal for causal Friday (or a more creative office setting) too. The dark wash is inherently more polished than a light-wash style—and it can be paired with a chic combo of a sweater, blouse, and blazer and everything in between. You literally can't go wrong with black skinnies—they go with everything. The high waist makes these incredibly flattering. Our editors love these skinnies. While cropped flares work well for any age, we also suggest investing in a classic pair of flares by age 30 if you haven't already. The beauty of this of-the-moment style is they can be dressed up or down (just like black skinnies). 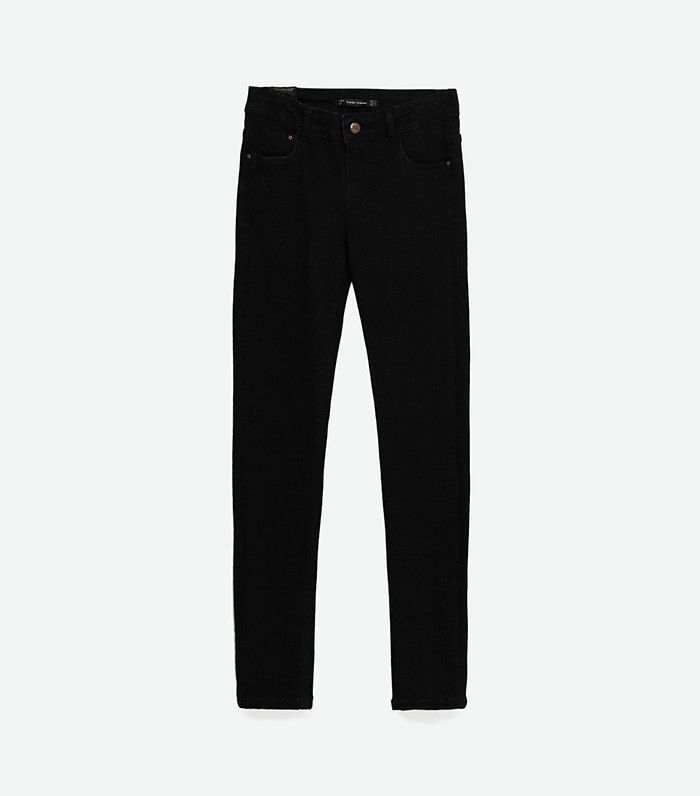 Dark-wash flares are ideal for a more polished look. The two-button accent gives these a fresh twist. We love the idea of tucking a pretty blouse into these flares for that nine-to-five life. Your black skinny jeans would totally work in many casual work situations, but it's smart to invest in a polished pair of trouser-like jeans if you want that chill yet chic vibe in your nine-to-five life. Imagine a dark-wash pair with a bow blouse and stilettos—incredibly sleek for your desk and drinks afterward. Invest in a pair like this for a sophisticated silhouette. You can wear these to casual Friday at the office and out afterward! A cropped style like this looks amazing with ankle boots. What jeans do you think every 30-year-old should own? Let us know in the comments below!